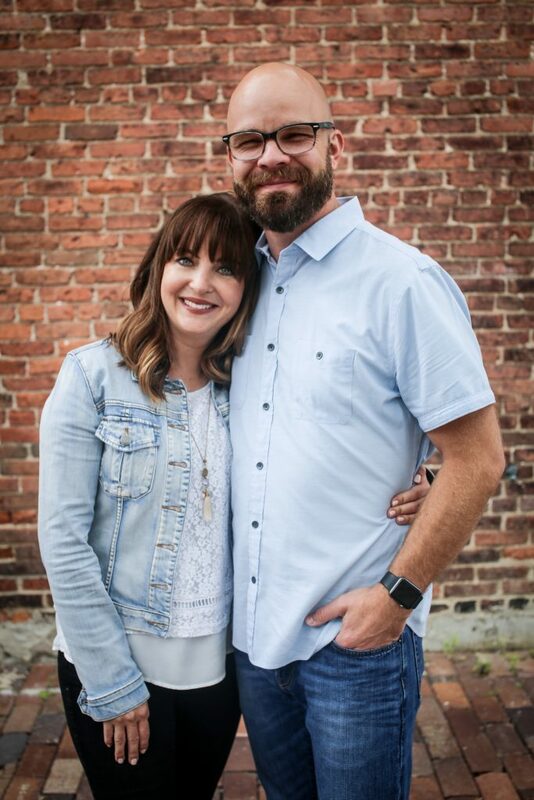 Prayer saved my marriage when my husband and I had no hope. We didn’t understand how we had let our relationship fall apart, but it was unraveling and seemed impossible to save. My heart was cold. I was angry at God for not helping us and for not giving us the perfect life together. I wanted things done my way and on my time. Selfishness led my heart and my life. In my stubbornness, I rejected my husband and I rejected intimacy with God. Despite my tantrum, my husband prayed every night for us. I lay in bed next to him eager to roll over and fall asleep. He prayed for us and he prayed that God would help us. I believe my husband’s willingness and dedication to pray for us and our marriage, held us together. Eventually, I lay down my pride and I began to pray for us too. I don’t know what to pray for. I don’t know what we need to fix our relationship, but I ask for Your guidance. Prayer also saved our marriage in those moments of vulnerability when my husband and I were arguing about something. One of us would stop the chaos to initiate a prayer. Immediately peace would fill both of our hearts, giving us a clear mind to move forward as we respected each other. Prayer is powerful. Prayer is how we communicate with our Creator, our Lord. When we give God room in our lives, He doesn’t hesitate to move in and help! 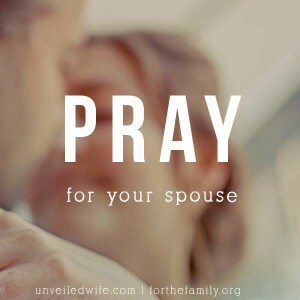 Prayer is the battlefield and we need to be prepared to fight for our marriages. The enemy and our flesh will attempt to sabotage and destroy love in marriage. We must fight back in prayer! If you haven’t yet seen War Room, I urge you to go and see it. This movie will inspire the way you pray and how often you pray. You can read my review HERE. I also want to share with you two resources that can help you pray for your spouse. 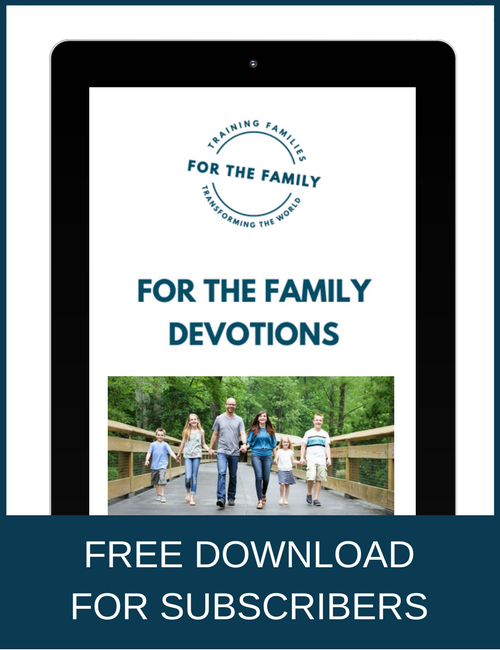 My husband and I saw the positive impact prayer can have in a marriage so we felt called to equip husbands and wives with a tool that would help them pray for one another. 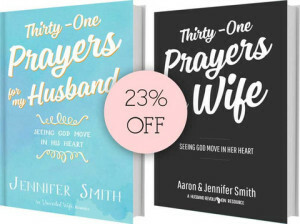 31 Prayers For My Wife and 31 Prayers For My Husband are great books to commit to reading or you can do a 31 day prayer challenge with your spouse and use them to guide you! Click HERE to get a discount on them as a book bundle. Please do not let another day go by without praying for your life, your marriage, and your family. God wants to hear from you. He is waiting. Great post. My wife and I were married in 2002, divorced in 2003, remarried in 2004. Stormie Omartian’s “Power of a Praying Husband” and “Power of a Praying Wife” were vital. Yes that is a great book! I have been married for 18 years, praying and believing the entire time. I let my husband get away with treating me not so good at times. I thought that a good Christian woman was supposed to just hang on. He lives me, but he’s not good at loving me. I am tired and worn. I just want to be appreciated and loved. We’ve been to counseling at church, but it’s still the same. We have 4 children together, and I know the last thing they want is to see mom and dad separated. I ask God for strength, for a strong heart that will no longer hurt, but it hasn’t happened. Please pray for my marriage. I am praying right now! Continue to fight through Prayer! I’m so tired of praying!! He blames me for our problems. I go to counseling alone and he says he will never go with me because the problems in our marriage is because of me. When I say I love you, he may or may not say it back. We don’t communicate and when I try to talk to him nothing is resolved. This has been going on for 10 years. I’m not mad at God, but I am questioning if the turmoil is worth it. I know I am not perfect, but he is so hard to love. My husband left me and our 2 young daughters 3 years ago. I’ve been praying for my marriage the whole time, everyday, several times. I will continue to fight with prayer as I know that there is power in prayer. And The Lord is healer of all things. I’ve just been caught cheating on her and our two children. Five weeks ago she confronted me and has filed for divorce last week after attending two counseling sessions for the kids. I’ve finally woken-up after being an absentee husband and father for 2 years. I’m praying nonstop that God can reconcile our marriage. She asked me to give her space but being the “guy” all I can do is “talk” and try to “fix it.” I pray for God’s grace and mercy, strength, faith, and forgiveness. I’m hopeful God can do the impossible as I recognize my sin, confessed, and seek her forgiveness. I love my wife and family very deeply. She feels my drastic 180 is fake and short lived should she give it a second chance. She is cold, stonewalling, empty and numb. I’ve rededicated my life as I spent many years running from him.